High flows usually dictate good streamer fishing. More water means that there are more areas for big fish to hide and a lot more food for them to eat, particularly smaller fish. Very few anglers come to the river with streamers as their primary tactic but those who do are usually the ones that catch the biggest fish. It's time to get back to the streamer lab. 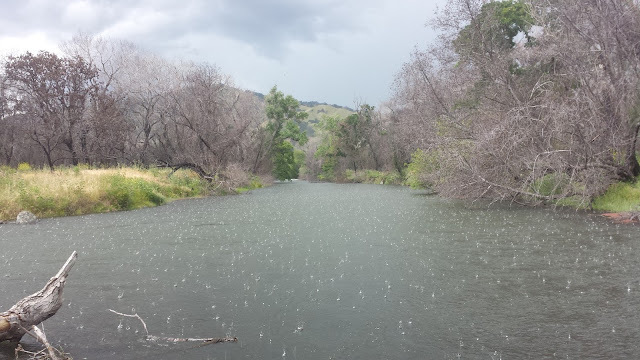 The flows are the Yuba are beginning to recede while the flows on Putah Creek are beginning to increase. 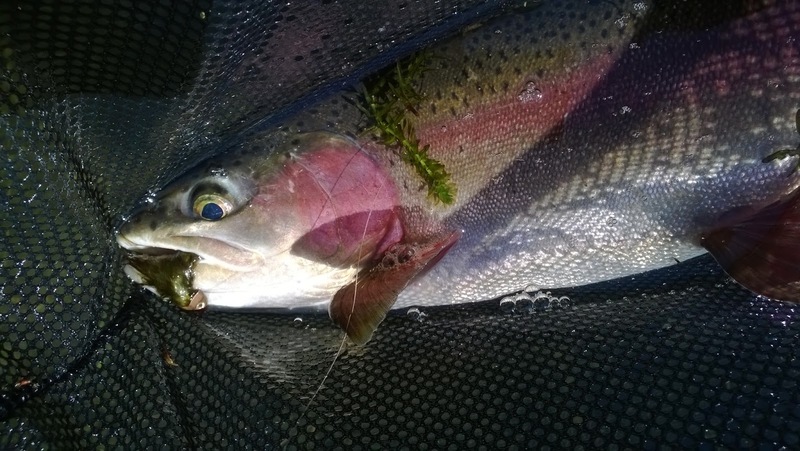 The best option right now is the Feather for the spring-run steelhead. I personally don't enjoy fishing the Feather as much as I enjoy fishing these other streams so small excursions for local fish here and there have been my go-to. + A full sinking line has better depth control. A few adjustment mends will get your fly to different parts of the water column. - If you're in a place where there is a lot of debris along the bank your full sink line will get caught on everything as it sinks to the bottom. Stripping basket anyone? + With a versileader sink tip you can adjust the rate at which your fly sinks by changing the sink tip. - A versileader will not sink as far down as a full sinking line. This can be a problem if the fish are hugging the bottom. - A versileader sink tip creates a belly in your line connection which can hamper your chances of hooking fish. + Your floating line combined with a versileader sink tip will help you keep out of the debris below the surface. + A versileader sink tip can be switched out for a tapered leader. This adds versatility if you want to throw nymphs or dries after fishing streamers. 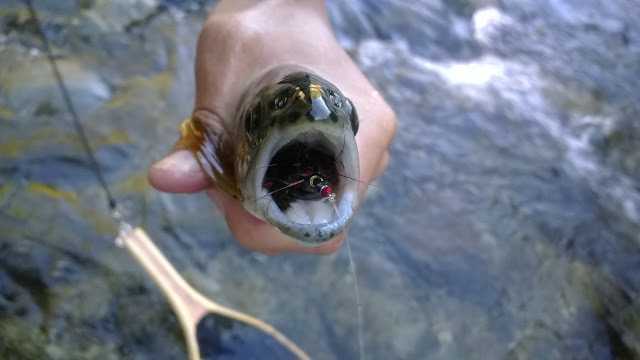 Attempting to streamer fish Putah Creek with full sinking line opened my eyes to the faults of using a full sinking line for streamer fishing. There are tons of things you could get caught on along the banks of Putah Creek like trees, branches, bushes, rocks, and sludge in the water. A fly in the trees isn't something new here but fly line? Every now and then I would get my line tangled on something and after a few too many times it became frustrating. Nymphs were working better this day but I couldn't switch tactics because I only had one spool with full sinking line. After this experience, I've made the switch back to a floating line but will keep the full sinking line for still-waters. Would a smaller streamer have a better hook-up ratio than a bigger streamer? So far my results have been about the same with the exception of a few more fish being caught on smaller patterns. Short strikes are still happening but according to Kelly Galloup, 50% hook up days are not uncommon with great days being around 70% hook up. The experiment continues... Will I catch bigger or smaller fish with small streamers? So far it's been a mix of both. In theory, smaller fish are easier to eat than bigger fish. A trophy fish can swallow a small minnow whole versus attempting to subdue a larger prey, catch it, and eat it. It is also easier to kill a smaller fish in your territory than a bigger fish. But to contradict everything I typed, bigger fish eat bigger flies. In fly tying theory, a pattern that is smaller has less shank space (unless your fishing 7x long streamers) which means you get more hook. If a fish grabs the fly at any angle it should leave itself wide open for a good hook-set. 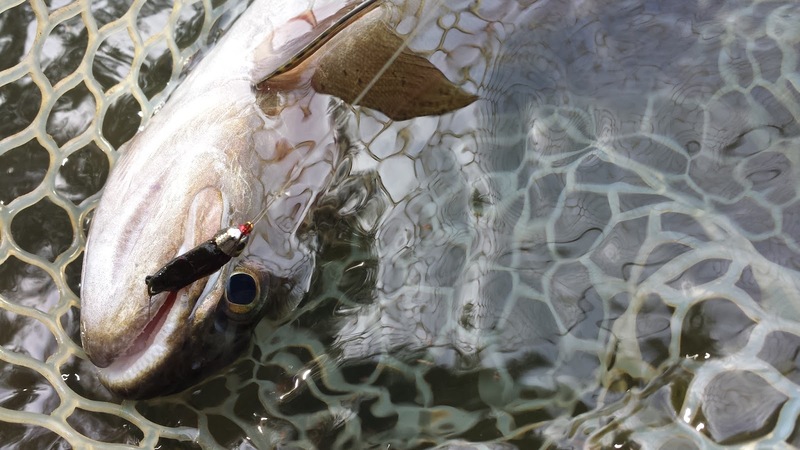 Bigger patterns tied on a single hook have too much shank and not enough hook making them less effective if a fish decides to grab it near it's head. Kelly Galloup and friends figured this out and started articulating their flies with two hooks. I really wished we had more brown trout streams in California. Browns are more aggressive and piscivorous than rainbows which would make them a great species to target on a streamer.